"Dr. Sinha and staff are very kind and understanding." 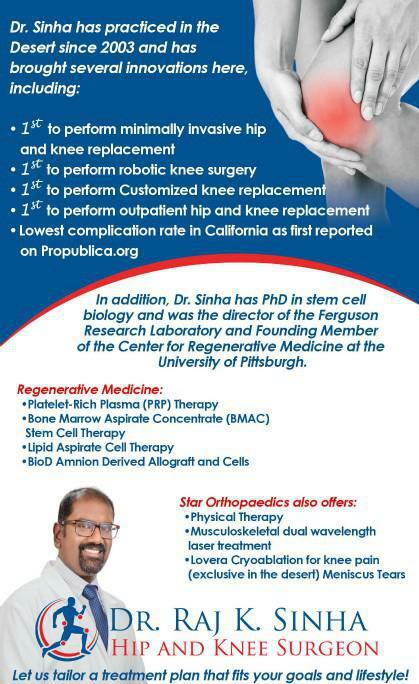 "Dr. Sinha is very professional. It is a pleasure to visit his office." "If you have a choice of orthopedic practices, Star is the place to call first." "The whole staff and atmosphere are 5 star." "He got me walking and has since done my other hip and knee." "Dr. Sinha is a true expert in joint replacement and I would recommend him heartily." "He is one of the finest surgeons I have ever had. He is very kind." "Truly a doctor that will explore all avenues before committing to surgery...I like that." "Very impressed with Dr. Sinha. Great listener, thinking of what's best for me." We still accept Anthem Blue Cross patients! 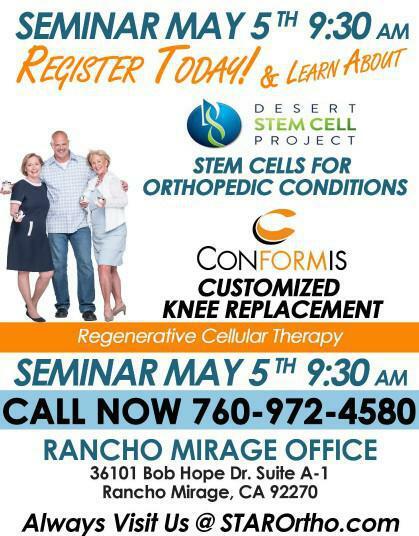 Dr. Raj Sinha has been leading the way in orthopedic medicine in the Coachella Valley area for nearly 15 years. Specializing in hip and knee replacements, Dr. Sinha has been named a Top Doctor in Palm Springs Life and featured on NBC, CBC, ABC, and Fox for his innovative and highly effective treatment methods. As a Southern California native, Dr. Spencer grew up enjoying the active outdoor lifestyle that many of us enjoy. His passion for Orthopaedics and Sports Medicine was born from his experiences while surfing at the local beaches, playing ice hockey around San Diego, and snowboarding, hiking, and fishing in the Sierra Nevada Mountains. While it was his injuries that introduced him to Orthopaedics, his passion and dedication for helping and treating others is what helped him excel in the field. After residency, he completed a Sports Medicine Fellowship at the renowned 3B Orthopaedic Institute in Philadelphia, PA, while continuing to publish research with experts in the field. Throughout fellowship, Dr. Spencer mastered numerous advanced surgical techniques while caring for elite level athletes ranging from high school to the professional level. He also served as a Team Physician for West Chester University, where he worked along side fellow Physicians, Athletic Trainers and students while taking care of college athletes in football, baseball, basketball, soccer, lacrosse, track and field, gymnastics, tennis, and rugby. Dr. Spencer believes in a patient-first approach, where your time and your concerns are as important as your outcome and return to pain-free activity. Taking time to ensure you understand your diagnosis and how your body is affected by it is a top priority. He combines your goals and expectations to create a personalized treatment plan, tailored to each patient. Dr. Spencer is committed to utilizing the latest in non-surgical techniques to alleviate pain and prolong the life of your joints with Hyaluronic Acid, PRP, and Stem Cell injection therapies. When necessary, he applies his expertise in Arthroscopic and Joint Replacement surgery to repair, reconstruct, and or replace torn tendons, damaged ligaments, and worn cartilage. 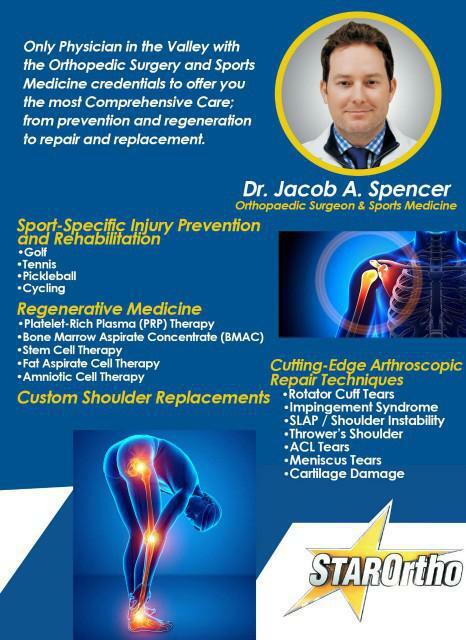 Dr. Spencer takes pride in providing you excellent care and getting you back in the game. At STAR Ortho, we accept most major insurance plans. Here is a list of some of the plans we accept. Please contact our office if you do not see your insurance provider listed. "My surgery was a success -- it is so great to have my life back! I could not be happier with Dr. Sinha and his staff." 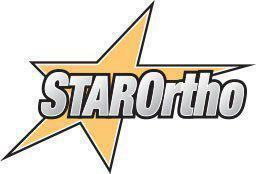 "The staff at Star Orthopedics is extremely responsive, friendly, and never make you feel like a number." "All-in-all, just a very positive experience in dealing with what was otherwise a personally stressful matter. Highly recommended." "I can't tell you how wonderful the staff is when you enter. They are all helpful and Dr. Raj is really concerned about your health." "I found Dr. Sinha to be very professional and very charming. The PRP treatments have helped me immensely. Also, the staff are truly wonderful."